Photo metadata is key to protecting images' copyright and licensing information online. It is also essential for managing digital assets. Detailed and accurate descriptions about images ensure they can be easily and efficiently retrieved via search, by users or machine-readable code. This results in smoother workflow within organizations, more precise tracking of images, and increased licensing opportunities. 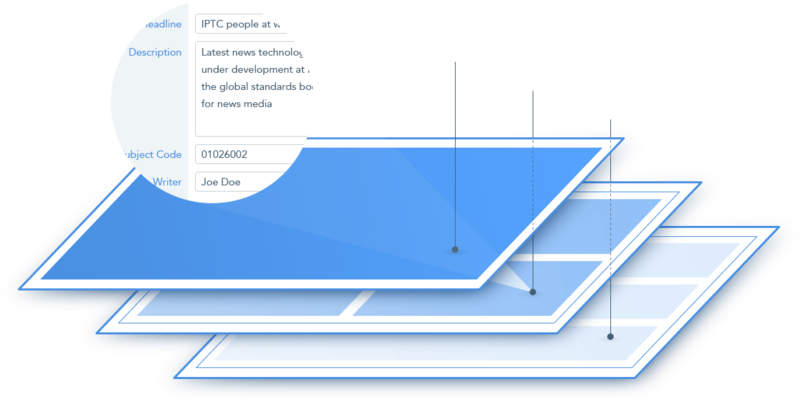 The IPTC Photo Metadata standard is the most widely used standard because of its universal acceptance among photographers, distributors, news organizations, archivists, and developers. The schema defines metadata structure, properties, and fields, so that images are optimally described and easily accessed later. See our user guides and support documents for guidance in implementing an efficient metadata workflow. The IPTC Core and Extension Guidelines give instructions and descriptions for all IPTC Standard fields, which helps maximize information stored with images. Also available: Toolkit for Adobe software; users forum; and sample image files. IPTC not only defines the standard for photo metadata, but also conducts research about how it is used in the real world. We examine metadata in commonly used software, social media platforms, and more. The removal of rights information as images are transferred is of particular concern. Here are our most recent studies, tests, and findings.